According to House Intel Chair Mike Rogers, Obama knows where the Benghazi terrorists are, but won’t go after them. 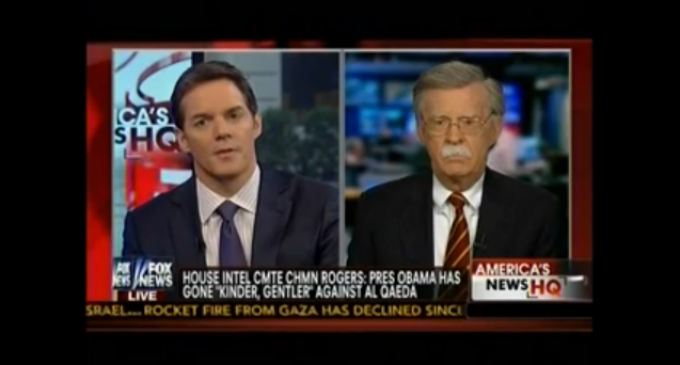 Rogers claims this is because of Obama’s ‘kindler, gentler approach” to Al-Qaeda. So kind, I guess, that 1.5 years after the Benghazi attack we have done nothing? We’re ‘so kind’ to terrorists now that we don’t retaliate in any way for the deaths of Americans. I appreciate Rogers pointing out that that Obama won’t go after the those responsible for the Benghazi attacks, even though we could, and I appreciate that he states Obama has a ‘softer, gentler approach’ to the terrorist group that we at one time considered our greatest threat, but it isn’t that Obama won’t go after the Benghazi terrorists because he ‘nicer’ to them. Obama won’t go after the Benghazi terrorists because for one, he just doesn’t care, and two, he certainly doesn’t want someone showing up in front of a camera saying something to indicate Obama’s true intentions and actions regarding Benghazi. And secondly, Obama isn’t becoming ‘nicer’ to terrorists, he is one.